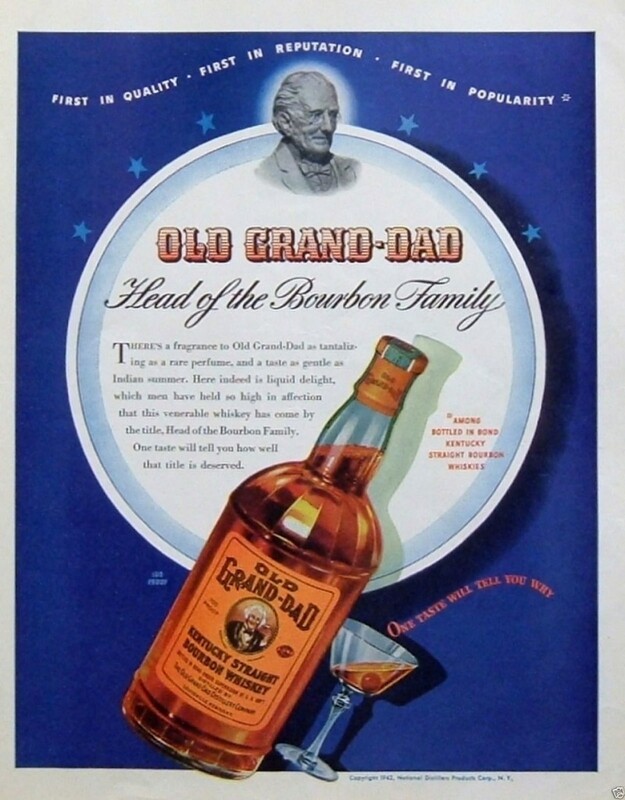 Vintage Ad Archive: Bourbon Bonanza! 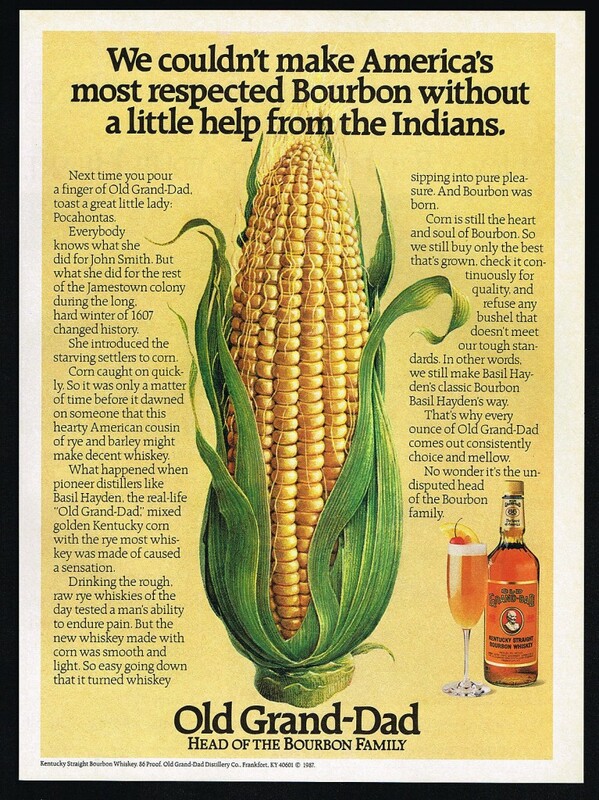 September is Bourbon Heritage Month, and accordingly, we here at Alcohol Professor have recently devoted lots of space to showcasing different sides of Kentucky's native spirit –and now I've decided it's only fitting to join in the fun myself, take our readers for a spin through the past, and present an extra-special Bourbon-centric trawl through my media files! 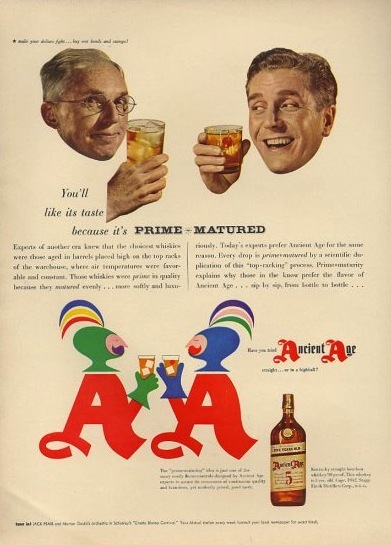 And while I've showcased America's whiskey in previous Alcohol Archives, I've no worries about getting repetitive – Bourbon's advertising and promotional history has proved as flavorful and versatile as the beverage itself. 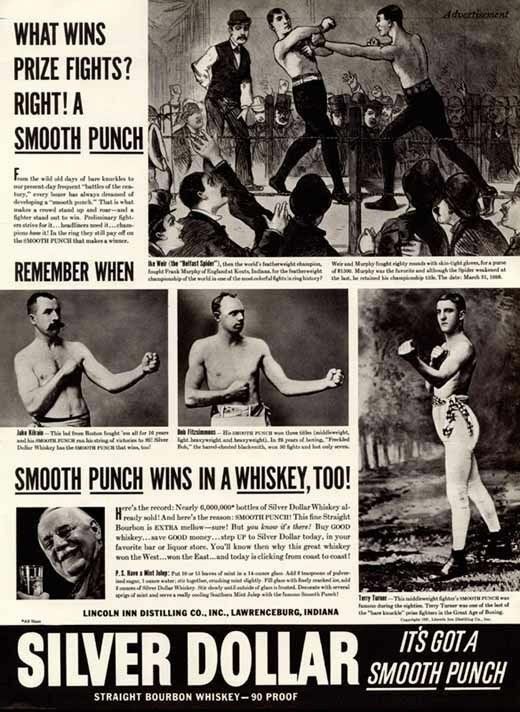 I touched on Bourbon's complex history back in my first-ever column, and gave a brief rundown on the difficulties American distillers faced to get their businesses up and running again after the long drought of prohibition, fighting the inexpensive and ubiquitous imports from Canada and Scotland. 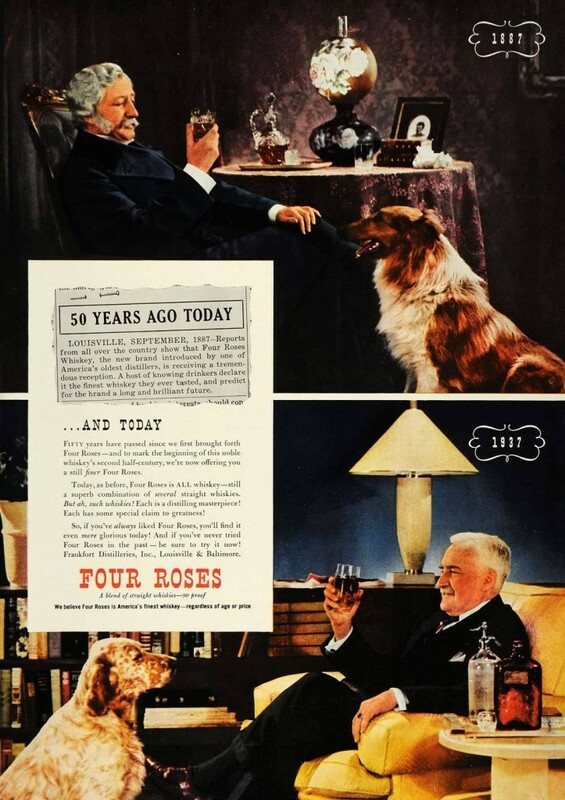 And while it took companies a moment to regain their footing, they launched straight back into the fray, coming up with all manner of catchy campaigns, wooing the public with a wide range of pitches. Unfortunately, only a few years later, America was feeling the sting of World War II, and another round of shutdowns and alterations began to affect the industry. 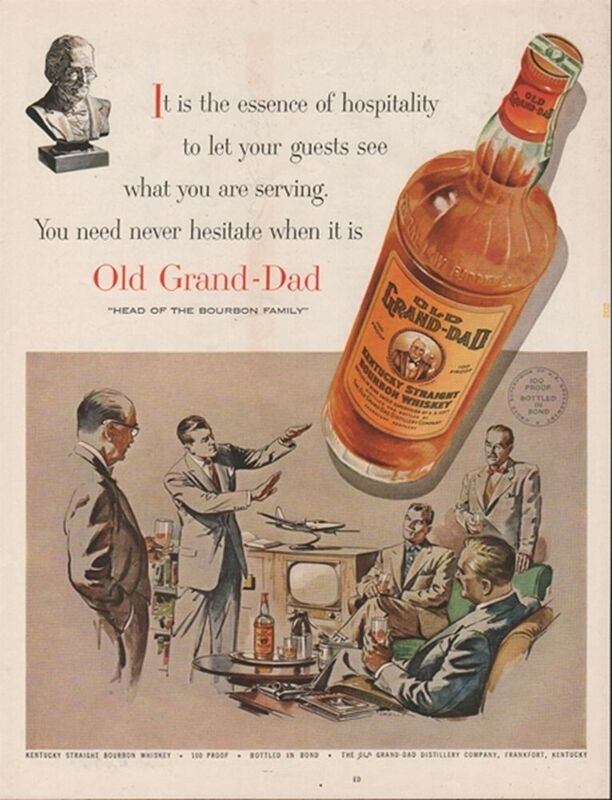 As the below ad testifies, many companies shifted their efforts to the making of "war alcohol", and once again pushed their primary product aside to focus on a governmentally-mandated alternative. But once the fighting ceased and our boys came home from overseas, the stills were fired up again, the barrels were returned to their their intended purpose, and the good stuff once again began to flow in earnest. 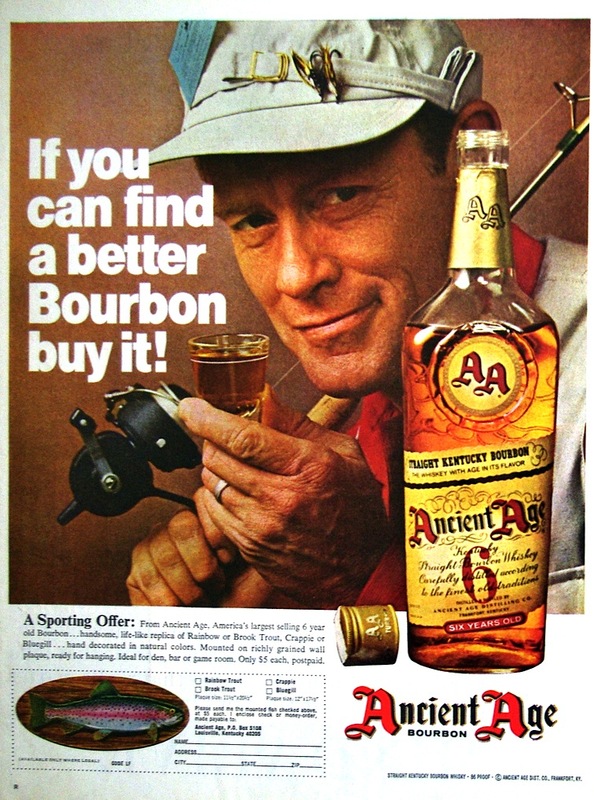 America was back in the Bourbon business, and agencies fell all over themselves letting the public know all about it. 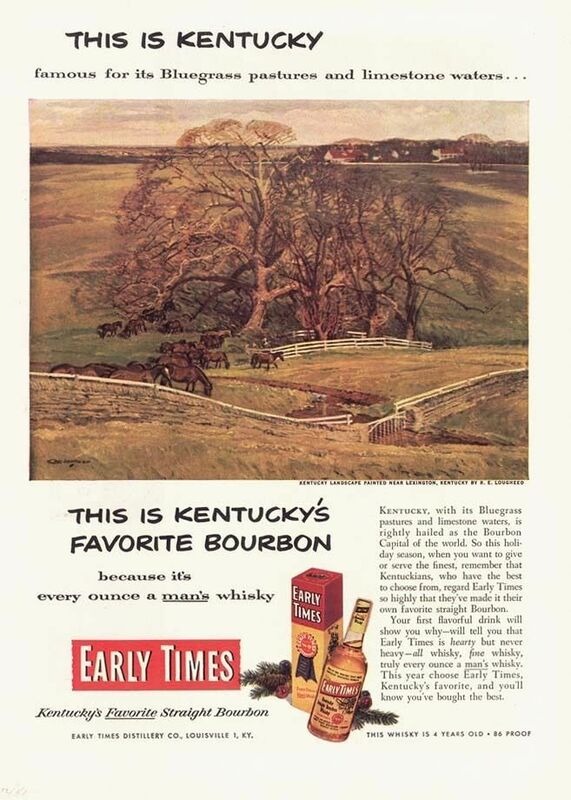 Part of the battle was taking pride in the spirit's Kentucky heritage, while also establishing it as a tipple with widespread appeal. 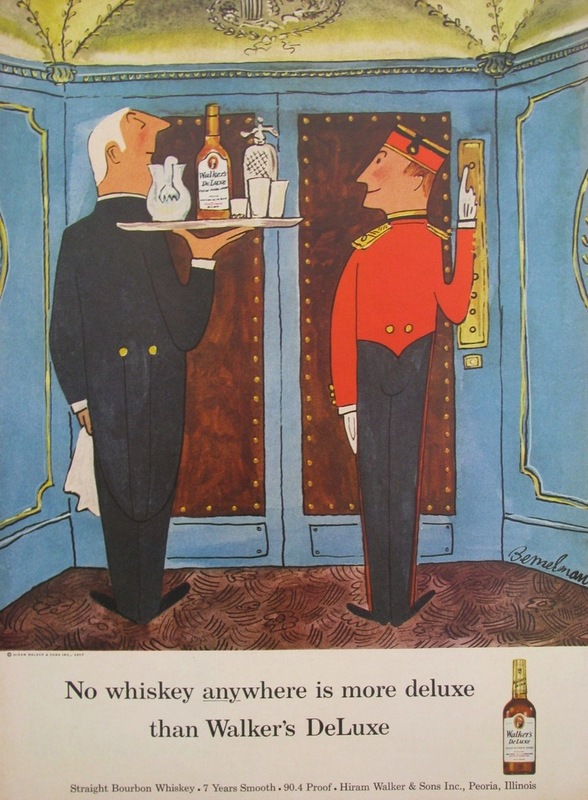 And Walker's DeLuxe went to a different extreme, hiring 'Madeline' creator Ludwig Bemelmans to fashion a campaign denoting various international occasions of Bourbon-imbibing. 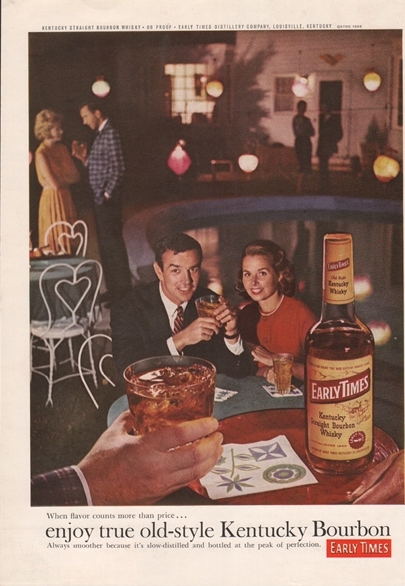 As the swinging '60s set in, distillers targeted the new generation of young, hip drinkers. 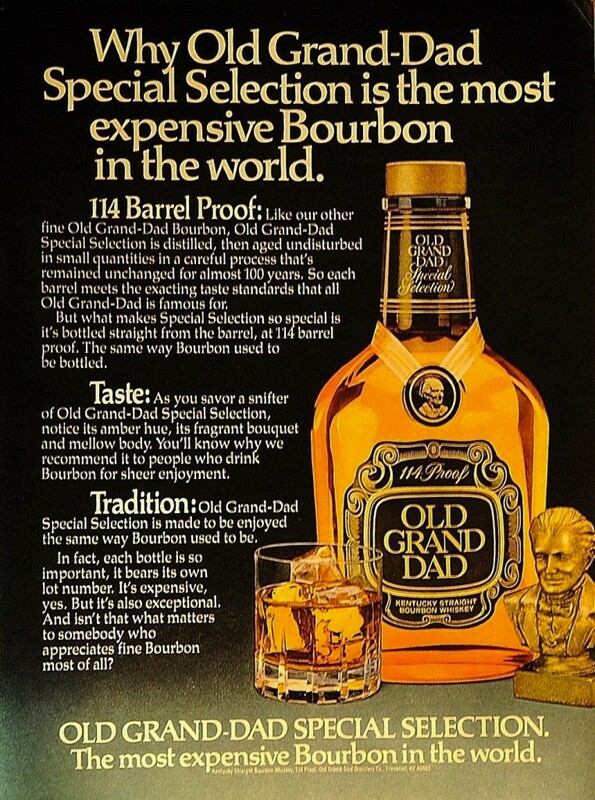 Bourbon could be enjoyed in so many settings and in so many ways, it became an essential component of any evening. 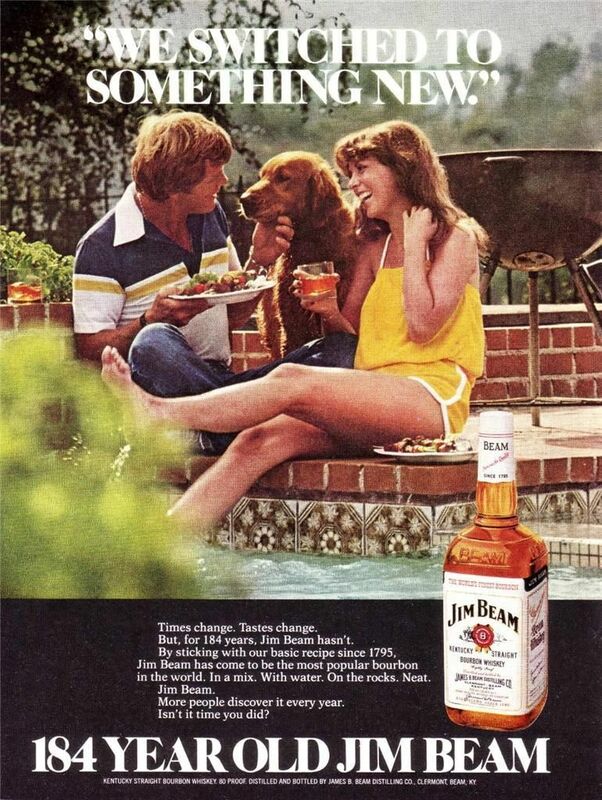 Whether a romantic date or a happening party with all your friends, Bourbon would fit in just fine. 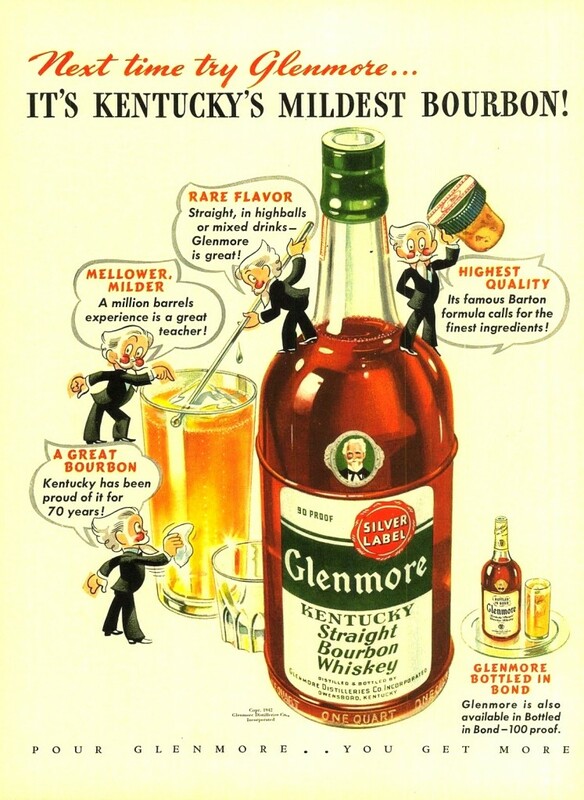 Through the ensuing decades, Bourbon's reputation continued to ascend, becoming not just a favorite of savvy sippers, but a congressionally-recognized American institution. Old labels achieved wider distribution than ever before, and new brands vied for shelf space, each one aiming their promotion at the newly-expanded market. 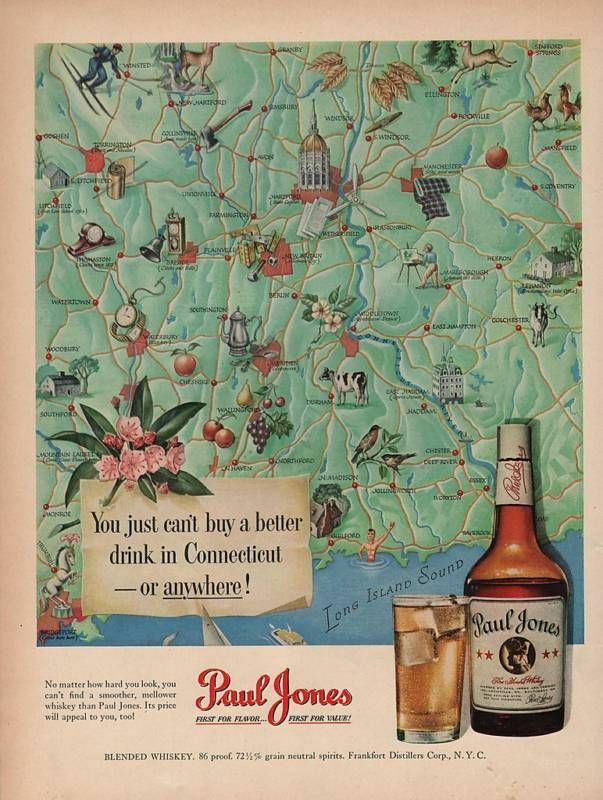 Which leads us to today – the beverage once considered a purely southern flavor has taken over the world. New craft distillers spring up regularly, and the old favorites continue to hold their ground. 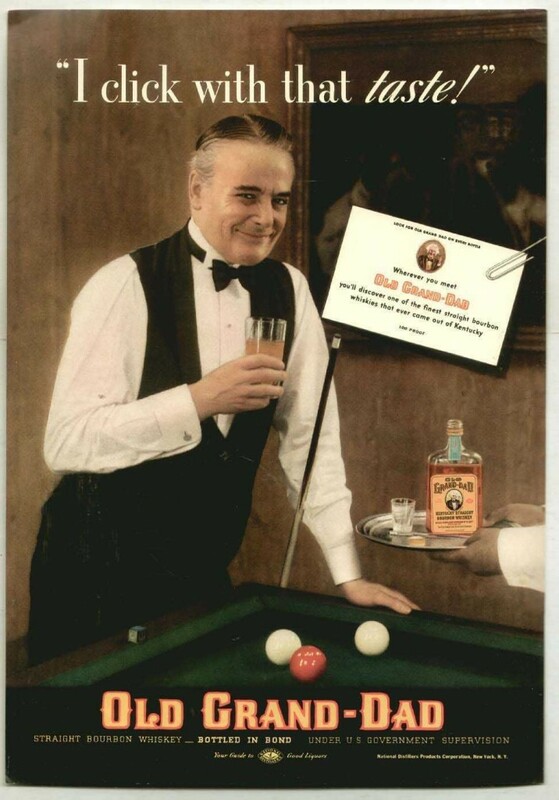 Bourbon is an all-weather drink, whether enjoyed in hot toddies or eggnog in the winter, sipped neat in the cool spring and autumn, or enjoyed on the rocks while sitting poolside in the summertime. 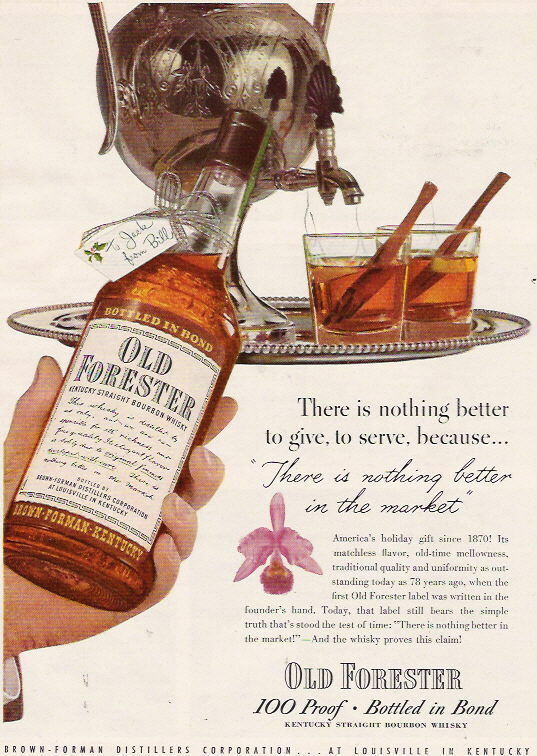 In fact, once again, all this flipping though old ads has made me a bit thirsty, and given that there's only a couple of days left in September, I should probably gather some friends and embark on my own personal Bourbon appreciation festivities... 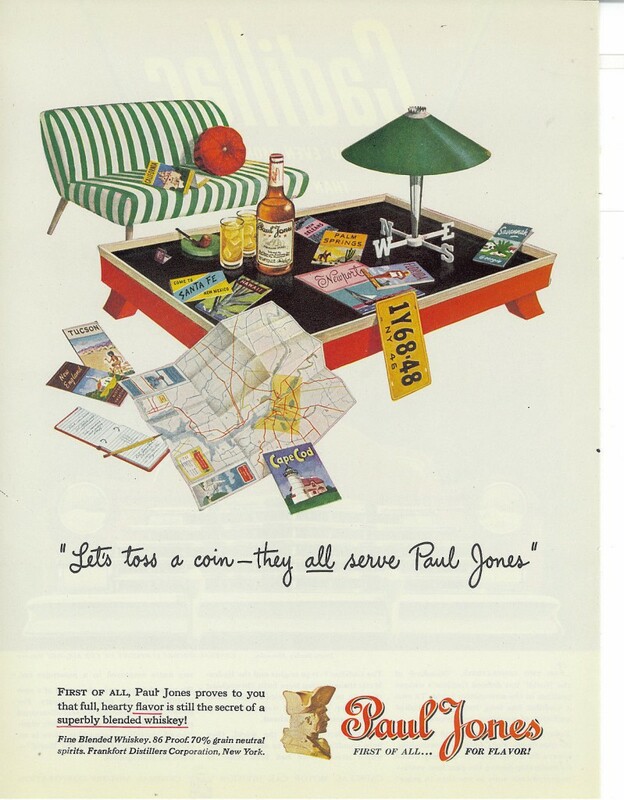 But I'll see you back here soon again, for another round of retro-boozy imagery!